Steps away from everything downtown has to offer: trendy Beach Drive shops and restaurants, fabulous museums, exciting sports venues, Tampa Bay's picturesque waterfront and marinas. Welcome to Watergarden Inn at the Bay. With over half an acre of lush landscaping and two restored buildings, you will forget you are in the heart of the city. Not your typical bed and breakfast, we offer modern amenities as well as quaint antiques in our 14 rooms and suites. Lounge by the pool or find a peaceful garden spot. Enjoy free on-site parking, wireless internet and great coffee. 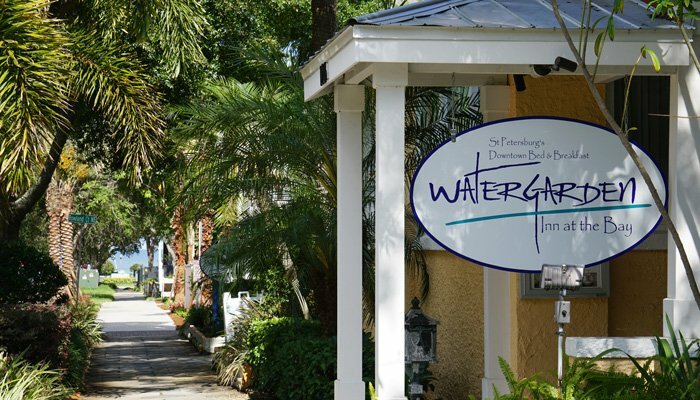 Just 30 minutes outside of Tampa, Watergarden Inn at the Bay is the ideal answer for romantic couples, sports fans, corporate travelers and vacationers exploring the Gulf Coast. Our events lawn is perfect for an outdoor wedding or reunion. 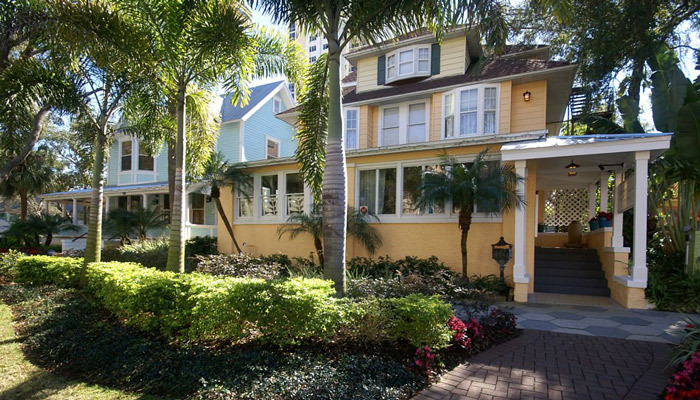 Whatever your plans, we offer an exceptional St. Petersburg lodging experience, and we look forward to welcoming you. Try our Google 360 Tour!